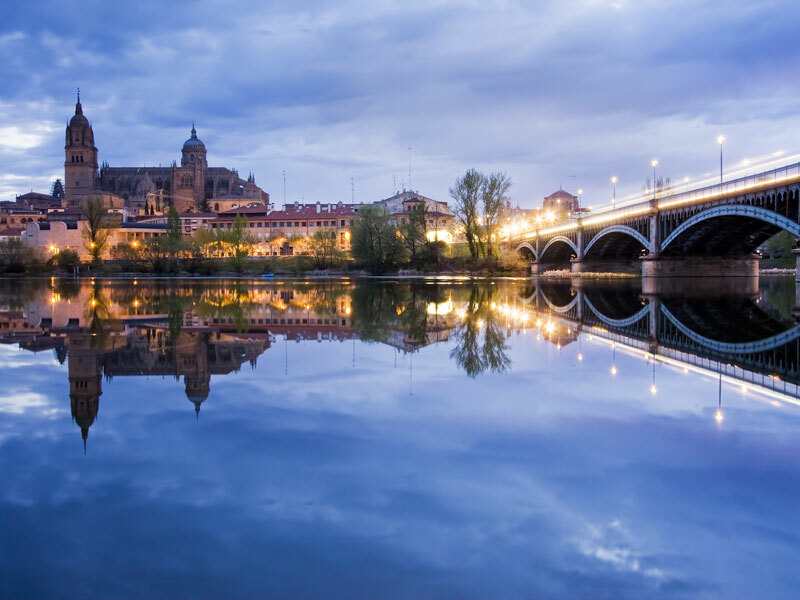 Do you want to spend a few days in Salamanca? So we offer -10% on your reservation. Do not hesitate and book now !!! Offer prepaid and non-refundable. Any cancellations or changes. And will be charged at the moment of booking. Both if you choose to travel alone or with company, the San Polo Hotel is an excellent choice for your visit to Salamanca. Our single rooms, of 15m2 with two single beds or a double bed, are fully equipped to cover all your needs to make you feel like home: an excellent wifi connection, Satellite TV and private bathroom, among other services. At the twin rooms of the San Polo Hotel, with 15 m2, we decided to condense Salamanca's charm: a fully equipped stay that will make you fall in love with it, like the city. We have prepared warm and comfortable triple rooms of 18m2 with all the basics for making you feel like home: Satellite TV, a fast WiFi connection and private bathroom. We offer the possibility to choose between a three bed rooms or a single bed and a double bed. The perfect room for the perfect stay: at the Suite of the San Polo, of 40m2 and with a double extra bed, you will find everything you need during your visit. We have also included a relaxing hydro massage bath, two LCD TV's, a lovely living room and a beautiful private terrace.